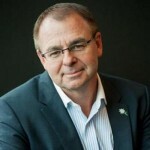 David Crosbie, Thursday, 11th April 2019 - Community Council for Australia CEO David Crosbie outlines the top five things he would like to see an incoming government commit to, in the first of a series of articles looking at what the social sector wants from whoever wins the upcoming election. David Crosbie, Thursday, 28th March 2019 - Now is the time for all charities to be finalising their election strategy, writes Community Council for Australia CEO David Crosbie. David Crosbie, Thursday, 14th March 2019 - Being a part of the It Takes A Village campaign has highlighted how important it is that we think about the village around not just our students, but each member of our community, writes Community Council for Australia CEO David Crosbie, as he reflects on our increasing levels of loneliness or disconnectedness. David Crosbie, Thursday, 28th February 2019 - There has never been a more important time for the charities sector to plan for the future than now, writes Community Council for Australia CEO David Crosbie. David Crosbie, Thursday, 14th February 2019 - The popular media debate about government performance often focuses on political games and short-term point scoring, but what matters most in our communities is the quality of government services and effective regulation that protects us all, writes Community Council for Australia CEO David Crosbie. David Crosbie, Thursday, 31st January 2019 - Charities need to be independent, but that does not mean they should be cut adrift by government to fend on their own, writes Community Council for Australia CEO David Crosbie. David Crosbie, Thursday, 17th January 2019 - Even the best economic proxy measures can only partly explain what is at the heart of charities’ work, writes Community Council for Australia CEO David Crosbie in light of recent reports on the sector which he argues are disconnected from what drives not for profits. David Crosbie, Thursday, 20th December 2018 - Sometimes it takes dark times to see bright stars, writes Community Council for Australia CEO David Crosbie, who reflects on 2018 and says he is looking forward to seeing more bright stars shine across the charity sector next year. Compassion – A Radical Response? David Crosbie, Thursday, 6th December 2018 - Community Council for Australia CEO David Crosbie explains why he would like to see a more compassionate Australia in 2019. Are You Perpetuating Your Irrelevance? David Crosbie, Thursday, 22nd November 2018 - With several major retailers going under in the last few years, charities should be learning a thing or two about how they do business, writes Community Council for Australia CEO David Crosbie. David Crosbie, Thursday, 8th November 2018 - Hyper-partisan politics is ramping up the pressure on charities, according to Community Council for Australia CEO David Crosbie, who explains how charities can influence policy for public benefit without betraying their own ethics. Who Wants to Commodify Charities? David Crosbie, Thursday, 25th October 2018 - The core role of the charities regulator should not be diminished by ill-informed attempts to develop a nebulous marketplace for which there are few, if any, customers, writes Community Council for Australia CEO David Crosbie.